This summer, I received an email from Kristina saying that they were heading to Hawaii to celebrate their 10th anniversary. She wanted to know if I wanted to create some more portraits with them, again on a beach, in Hawaii. Of course, I was in! So we made plans, and headed to Hawaii. On the island of Oahu, we spent an incredible afternoon together (starting with local shave ice…) photographing on a deserted beach on the North Shore, right next to a polo club (thus the horse in some of the photos). It was truly one of the more awesome portrait sessions I’ve ever done. Angela and Julian made such a cute couple at their wedding. Surrounded by friends and family, they were married at Blackberry Hall at McMenamin’s Edgefield, in Troutdale, Oregon, a popular and charming wedding venue at which we absolutely love to photograph! Congratulations, Angela and Julian! Thank you for letting us tell your love story! We’ve been wedding photographers at McMenamins Edgefield in Troutdale for over 15 years. It’s one of the busiest wedding venues in the Portland area, but it never loses its charm. There’s so much thought that goes in to the facilities at Edgefield that it continues to be a truly wonderful wedding venue. That’s why we love it when we get hired for Edgefield wedding photography, and why we’re so happy to be on the Preferred Vendors list as McMenamins Edgefield wedding photographers! If you’re planning a wedding and looking for the best professional wedding photographers at McMenamins Edgefield, call us! We’d love to bring our award-winning wedding photography to tell your wedding story! I’m pretty excited that it’s finally the season for senior portrait photography in Portland. Just look at these golden, sunny photos, and you’ll see why we love taking senior portrait photos in Portland in the summer! I met Andie Jo when I photographed her mom’s wedding some years ago, outside of Yamhill, Oregon. Andie lives in Yamhill, and goes to Yamhill-Carlton High School. Which isn’t too far from Hillsboro, where our office is located. So when Andie’s mom contacted us, asking about scheduling her senior portrait photography session, I was pretty excited! We scheduled our hair and makeup stylist with AJ’s Hair Design and Makeup, who prepped Andie for her photo shoot at our Hillsboro office, before we started our portrait photography session. She looked great! This beautiful, vivacious redhead is so easy and delightful to photograph. We had a great time taking her senior portrait photos in Hillsboro, just as the sun was setting, on our beautiful property. Andie brought along several great outfits for her senior photos in Hillsboro, and they all looked great on her. We also used some of our specialty lenses to give her images a unique look, such as this portrait taken with our Lensbaby Twist 60, a special professional photography lens made right here in Portland. Are you ready for your senior portrait photography session, in Hillsboro, Beaverton, Tigard, or Portland? We’re ready for you! Let’s create something beautiful together. Call us today to schedule your senior photos! This has to be one of the funniest wedding photos I’ve seen in a long time, although it took me a moment to get it. I was looking at Aaron’s t-shirt thinking, “The election was like, 8 months ago….” And then it dawned on me that the bride’s name is Hillary. This sweet couple were married at The Ainsworth House and Gardens in Oregon City, Oregon. We had the privilege of being their wedding photographers, and loved all the traditional Jewish details that made this a beautiful and meaningful wedding day. Are you looking for an Ainsworth House Wedding Photographer? Contact us today; we would love to be your wedding photographers! Once again, we’re so honored to receive Wedding Wire’s Couples’ Choice award as one of the top wedding photographers in Portland! We’ve been receiving their top awards since 2009, and are always so happy about it. We know that there are hundreds of wedding photographers in Portland for you to choose from. 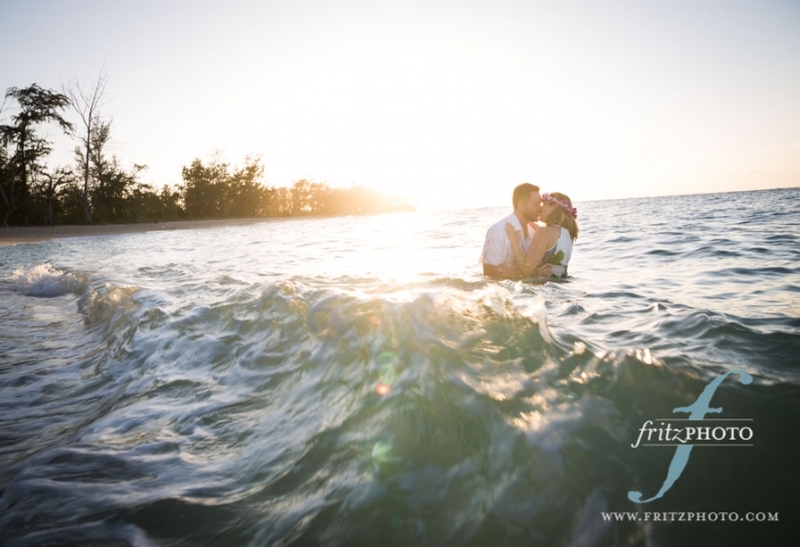 But if you’re looking for the best wedding photographers in Portland, Oregon, look no further than FritzPhoto. Call us today about your wedding photography! Laura is a model from San Diego, living in Oregon. She’s with a modeling agency in California, but wanted to update her modeling portfolio with some fresh images while living here in Oregon. So she scheduled a modeling portfolio photo shoot with us. After a hair and makeup session with our stylist from AJ’s Hair Design and Makeup, we set out to create several different looks around our photo studio in NW Portland. Here’s a sampling of the photos we created…. Ready for your modeling portfolio photo shoot? Contact us today and schedule yours! We’d love to see you get real modeling work in the fashion, lifestyle, and sports modeling world right here in Portland, and around the world! Karina is a lovely young lady, that wants to start modeling. So she asked us to photograph a modeling portfolio for her to begin her modeling career. We love photographing test shoots with models, and invited her in to our photography studio for a hair and makeup session, followed by a photo shoot around our northwest Portland studio. Here are some of the beautiful results! Such a lovely young lady! We enjoyed photographing her modeling test shoot, and helping her build a modeling portfolio that will get her paid modeling gigs through a Portland modeling agency. Ready to launch your modeling career in Portland, Oregon? Check out our child modeling portfolio session package, and contact us today! Michelle’s bridesmaids loved and took care of her so well! It was a joy to see. Michelle & Brian’s wedding ceremony was held at Portland’s historic Old Church, in Downtown Portland. Their ceremony was held at Blue Sky Gallery, Portland’s oldest photography gallery. What was your favorite memory from photographing this wedding? Her bridesmaids were some of my favorite people for a bride to have! The way they surrounded Michelle and supported her as she got ready for her wedding day was magical and their love for her is visible in the wedding photos. And, since they were all already hair and make up ready, it ended up resulting in some of my all time favorite ‘getting ready’ images I’ve taken to date. Last but not least, it’s always a joy to work with wedding officiants Steve (and Leslie) from A Beautiful Ceremony NW! The kiss! So romantic, surrounded by their friends and family, and the warmth of Portland’s Historic Old Church. The happy couple walking down the aisle at The Old Church, Portland! Portland’s Old Church is such a cool, historic wedding venue! Blue Sky Gallery was a great, intimate venue for the wedding reception! Anything funny happen at the wedding? The bride and groom played a game where they stood back to back and were asked questions, like: “Who takes longer to get ready?”, “Who is most likely to get lost on a road trip?” and “Who is the better cook?” and, without looking at the other’s response, they each had a ‘his shoe’ and ‘her shoe’ to raise for their answer. It had the crowd in an uproar. Are you looking for a wedding photographer for the Old Church in Portland? We’ve photographed weddings there many times, and would to photograph yours! Contact us today to talk over your wedding photography! Casey’s dad contacted us recently, because Casey expressed an interest in trying out modeling. She’s already an athlete, so why not try out modeling too? So we set up a time to photograph a modeling portfolio for her. And she did great! After our hair and makeup artist prepared Casey for our photo shoot, we stepped out into northwest Portland and created some lovely images. Children interested in modeling in Portland need a solid modeling portfolio in order to attract paid modeling jobs. At Fritz Photography, we’ve worked with children for decades, and enjoy helping them feel comfortable in front of the camera. Our modeling portfolio photography sessions are safe, nurturing opportunities for young models and actors. Our time with Casey was no exception! With all the crazy weather we have been having we all felt pretty lucky that the rain stayed away for Kimberley and Michael’s springtime wedding. Their wedding was held at the beautiful Victorian Belle. The history of the Victorian Belle lends itself perfectly to any wedding, as this mansion was built in 1885 by David Cole as a wedding gift for his wife. It is sweet to think this home was built for the beginning of one love story and now is the home to the beginning of so many more. The morning of their wedding was busy with getting ready and taking family photos as the couple decided to opt for tradition and not see each other until Kimberley walked down the aisle. It was so sweet to see Michael’s face when he saw her for the first time. After the “I Do’s” we gathered the wedding party and walked around the mansion taking photos and celebrating this new marriage. Dinner brought everyone into the gazebo for the evening, where the couple was treated to sweet words from family and friends wishing them the best for the future. But the night wasn’t over there, the DJ kicked the music up and this group got to dance the night away on the dance floor! Be sure to check out the night-time portraits we took at the Victorian Belle (at the bottom of the post). That place is amazing at night with all it’s old architecture and artistic lighting! Ready for your wedding photography at the Victorian Belle, or anywhere else in Portland, Oregon, and the Pacific Northwest? Contact us today to tell us all about your wedding! When Rob told us he was renting out Portland’s Lan Su Chinese Gardens (the whole place! ), in order to propose to his girlfriend Rachel, we were pretty excited. The Chinese Gardens is a difficult place to get in to for photographers, so this was going to be a treat. And it was! Amy had the privilege of lurking around in the shadows, while Rob proposed to Rachel. Once she said yes, well, the photographic fun began. With some amazing architecture, water, and weather (well, for the wettest Portland winter in 75 years, at least there was no rain), she not only photographed their proposal, but also some lovely engagement portraits.